Researchers at Stanford University analyzed the ejaculate from one man using a single-cell whole-genome technique that allowed comparison of 91 separate sperm cells. The results, published last week (July 20) in Cell, revealed high levels of variation that mirror the Caucasian population as a whole, suggesting that recombination during meiosis generates a considerable amount of genetic diversity. 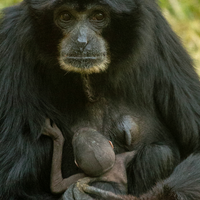 "The individual we studied has the same level of recombination genome-wide compared to the population," coauthor Jiabin Wang told GenomeWeb. "The general trend for the distribution of recombination along the chromosome is also the same as the population." 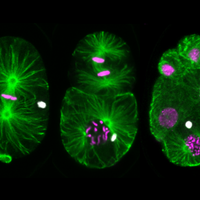 Some of the sperm tended to recombine in previously defined recombination “hotspots,” the researchers found, while others tended to recombine in unexpected areas. 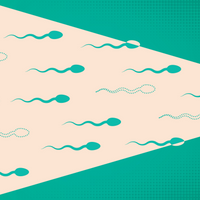 The team also found that some 7 percent of sperm show signs of genomic instability. "The exact sites, frequency, and degree of this genetic mixing process [are] unique for each sperm," said senior author Stephen Quake in a statement, "and we've never before been able to see it with this level of detail." In addition to delving into the genetic diversity generated by meiotic recombination, the study suggests new ways to diagnose male fertility issues related to recombination problems. Furthermore, the technique for isolating individual sperm cells, which uses a microchip that divides the liquid sample into chambers each containing a single cell, could also have applications for the study of detailed differences in cancer cells within one tumor, highlighting which genes have been affected by mutations.